Home / Breaking / Superleague / TV / TNT Sports Argentina: live stream free or something? 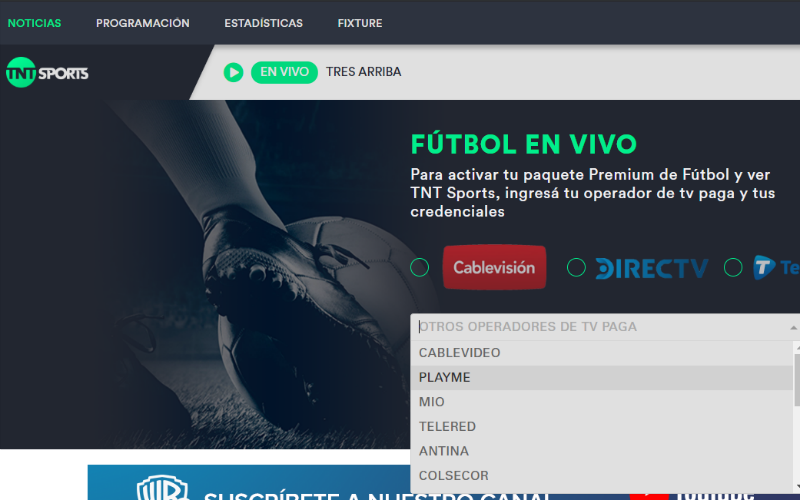 TNT Sports Argentina: live stream free or something? Turner (the group that owns TNT) is one of the owners of TV rights in Argentine soccer. And just like Fox Sports has a platform to watch the Superliga Argentina games by online streaming. Streaming that seems free, but it is not: in Argentina you need to hire the Football Pack (it is a pack that is contracted with the cable operator) and outside of Argentina, it does not work! How to watch the streaming of TNT Sports? So there is a solution for those living in the United States, Europe, Asia or Oceania: Argentine football is broadcast outside of Argentina exclusively via streaming by Fanatiz, live and in HD. If you are one of those football fans who spend hours looking to see the games from abroad, the solution is Fanatiz since it broadcasts all games legally, live and on demand, in HD and is available on multiple devices: iOS and Android, web, and Smart TVs Roku, Apple TV, Chromecast and Amazon Fire TV with a monthly cost of US $ 9.99 per month, plus a daily pass that allows you 24 hours of access for US $ 4.99. 💥How to contract the Fanatiz streaming service? 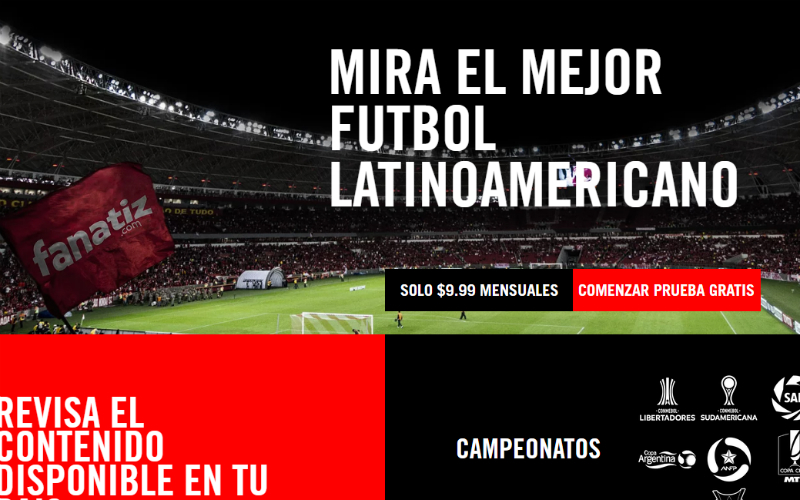 You can enter Fanatiz.com and hire the pack you prefer to watch Argentine football. Warning: you have to check the geographical availability of the streaming. The Primera División named Superliga Argentina (Argentine Superleague) since the 2017–18 season, is a professional football league in Argentina, organised by the homonymous entity (Superliga Argentina de Fútbol, SAF), that is administrated independently and has its own statute. Nevertheless, the Superleague is contractually linked with the main football body, the Argentine Football Association (AFA) that had been organising all the championships from 1893 to 2017. In Argentina, matches are broadcast by American companies Fox Sports and Turner, which signed a contract for 5 years where both companies agreed to pay A$ 3,200 million per year. In the current season, the second of the Superliga, play 26 teams. The championship is played in a single round of all against all, with a total of 25 dates. He will consecrate a champion and he will have 4 descents, in contrast with 2 promotions that will take place from the B Nacional, with the intention of progressively reducing the number of participants, until 20 or 22. Boca Juniors is the current champion of the Superliga Argentina.